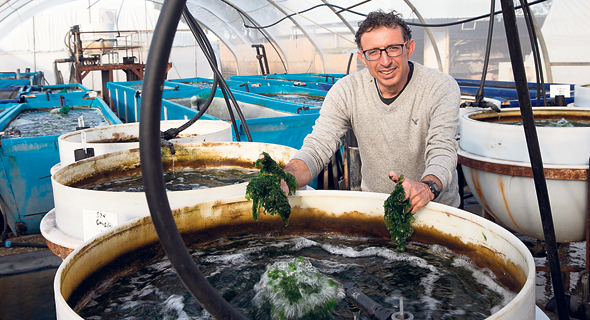 Marine biologist Yossi Tal, the chief technology officer of algae farming company Seakura Ltd., sees seaweed as the future of sustainable farming— a way to produce more nutritious foodstuff in a cost-efficient, environmentally friendly way. Now widely touted as a superfood, Seaweed contains numerous vitamins and minerals, including iodine, the deficiency of which is still considered a public health concern even in places like the U.S. It is high in antioxidants, and considered a good source of dietary fiber and protein, though it does tend to be high in sodium. Seaweed farming does not require cutting down forests, Tal said in a recent interview. Seaweed can be farmed in non-arable lands, rocky terrains, and on sandy coastal soil, where competition for resources is low, he explained. According to the U.S. Environmental Protection Agency, agriculture, forestry, and other land uses account for 24% of global greenhouse gas emission, with most of the emission occurring as a result of crop and livestock cultivation. Seakura’s farming operation is located along the Israeli coast, between Tel Aviv and northern port city Haifa. The farm collects seawater, filters it—seaweed tends to absorb heavy metals —and pumped into farming pools, each with algae in a different stage in the growth cycle. Clean water is later pumped back into the sea. By farming on land in monitored pools, Seakura avoids polluting the sea, and the company also gets the added benefit of monitoring product quality. The seaweed produced by Seakura is 30% protein. The company is currently growing 100 ton of seaweed a year. It is sold both fresh and frozen, mainly in Israel and Europe. The company now expands marketing to the U.S. and Asia. Instead of exporting Seaweed the company wants to set up local operations. “We’re hoping to set up a first farm in South America this year,” he said.